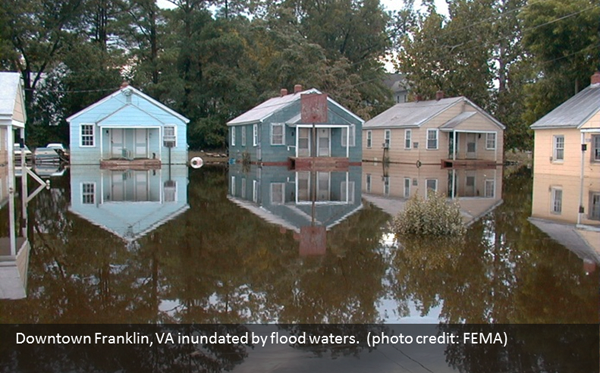 When flood waters recede, the damage left behind can be devastating and present many dangers. Images of flood destruction depict destroyed homes and buildings, damaged possessions, and decimated roadways. However, what you can’t see can be just as dangerous. Floodwaters often become contaminated with sewage or chemicals. Gas leaks and live power lines can be deadly, but are not obvious at first glance. Stay Informed:?Stay tuned to your local news for updated information on road conditions. Ensure water is safe to drink, cook or clean with after a flood. Oftentimes a boil water order is put in place following a flood. Check with utility companies to find out when electricity or gas services may be restored. Carbon monoxide poisoning is one of the leading causes of death after storms when areas are dealing with power outages. Never use a portable generator inside your home or garage. Review generator safety. Avoid Flood Waters:?Standing water hides many dangers including toxins and chemicals. There may be debris under the water and the road surface may have been compromised. Avoid Disaster Areas:?Do not visit disaster areas! Your presence may hamper rescue and other emergency operations. Heed Road Closed and Cautionary Signs:?Road closure and other cautionary signs are put in place for your safety. Pay attention to them! Wait for the “All Clear”: ?Do not enter a flood damaged home or building until you’re given the all clear by authorities. Water can compromise the structural integrity and its foundation and active electrical systems in contact with water is deadly. Contact Family and Friends:?Let your family and close friends know that youre okay so they can help spread the word. Register with or search the American Red Crosss Safe and Well?listings. This entry was posted in Emergency Preparedness and tagged disaster preparedness, emergency preparedness, flash flood, flooding, prepare, preparedness, severe weather. Bookmark the permalink.